The capabilities of ‘parameter variation’ objects in the list of special computations have been enhanced. You can now define ‘offset functions’ which are computed once before the parameter variation is executed. The example below discusses an application of this feature. 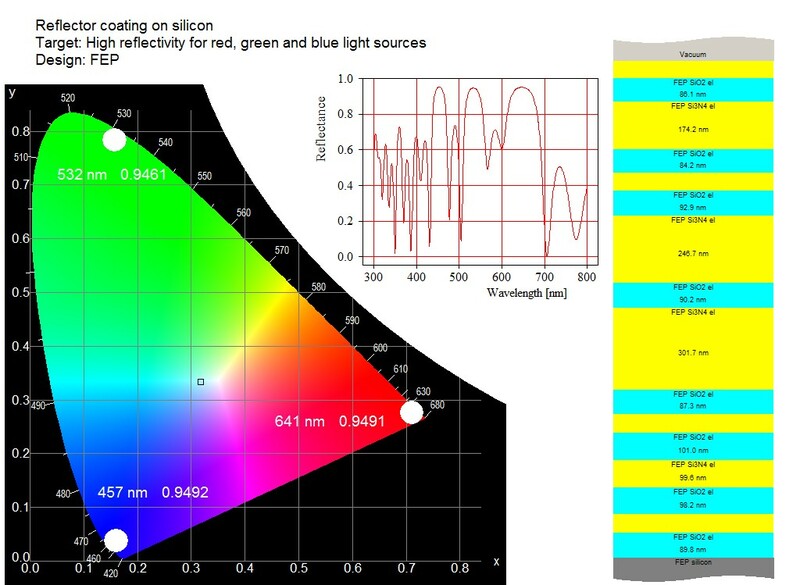 Unfortunately the model does not perfectly reproduce the measured reflectance spectrum. As a result, the ‘measured’ color position is different from the simulated one. In this situation you might want to display the arrows at the ‘measured’ color position, believing that the direction and the size of the arrows will be similar there. 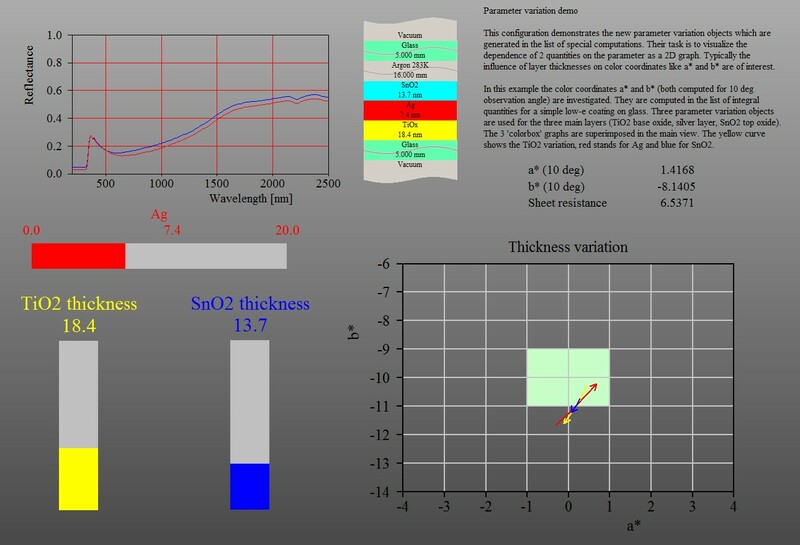 A graph like this would show operators where they are with their real product and where they would go with thickness variations. Obviously, you should use this feature only in cases where you are sure that the applied offset is justified and does not lead to wrong conclusions. After execution of the ‘Range’ command in spectra and material objects the settings of the x-axis in the graph has been changed, ignoring the option ‘Automatic graphics generation’. This has been fixed – the axis labels remain unchanged. Use this command to pass a measured sheet resistance value to CODE. This is useful if you would like to use this value in a fit, in addition to measured optical spectra. The value is passed to the list of integral quantities. The list must contain an object of type ‘Sheet resistance’ with the name ‘Sheet resistance fit’ – only in this case the value is passed as target value. 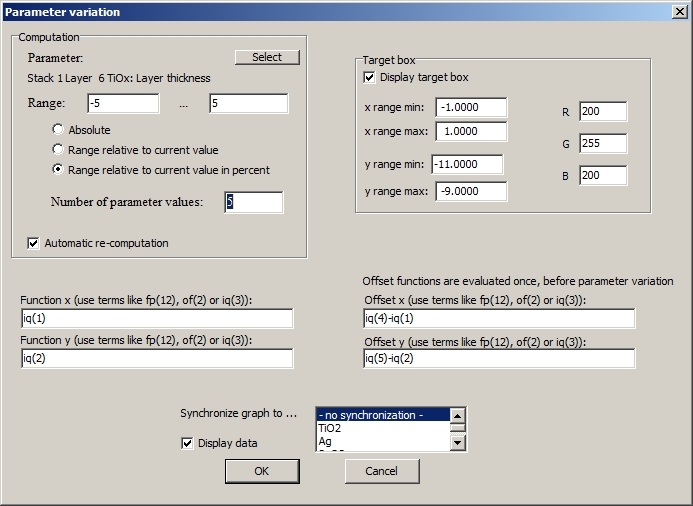 In order to use this value you must set the option ‘optimize’ of the sheet resistance object. 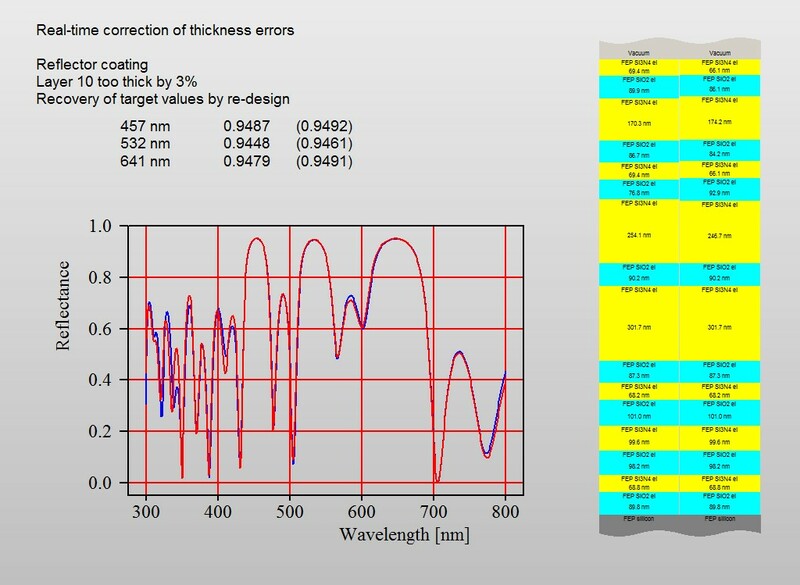 If you want to fit both spectra and sheet resistance, you must set the global fit option ‘Combine fit deviation of spectra and integral quantities’.